Aviation Updates Philippines - Cebu Pacific of the Philippines has placed an order with Airbus for seven A321ceo to meet ongoing strong growth on its domestic and regional network. The latest contract comes on top of an existing order for 32 A321neo. The aircraft will start joining the carrier’s fleet next year. ADDITIONAL AIRCRAFT. The additon of seven more Airbus A321ceo orders will enable the airline to fly more passengers in Manila's slot-restricted airport. Photo by Airbus. 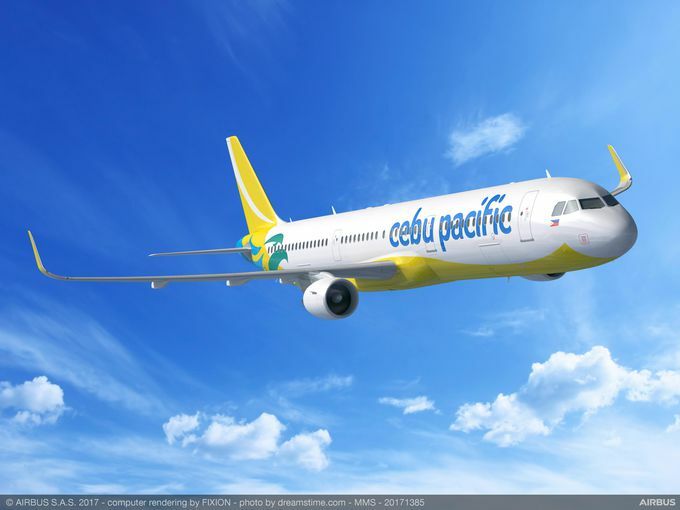 Manila-based Cebu Pacific is one of Asia’s leading low cost carriers. Operating domestic, regional and long haul services, the carrier flies to over 60 destinations in Asia, Australia, the Middle East and the USA. The carrier’s in-service Airbus fleet currently comprises 36 A320s and four A319s flying on domestic and regional services, plus eight widebody A330-300s operating on high capacity regional and long haul routes. The A320 Family is the world’s best-selling single aisle product line. To date, the Family has won over 13,000 orders and more than 7,500 aircraft have been delivered to some 400 customers and operators worldwide. With one aircraft in four sizes (A318, A319, A320 and A321), the A320 Family seats from 100 to 240 passengers. The Family features the widest cabin in the single aisle market with 18” wide seats in Economy as standard.